LIFT UP FIRE BOARD ABOVE THE DOOR. MINOR PLAY MARKS. 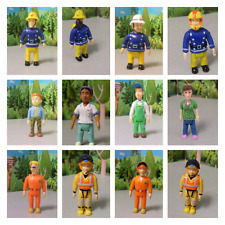 Fireman Sam Bundle - Buildings, Vehicles, Figures And Accessories Condition is Used, 2 Buildings with accessories (one part of the balcony is missing), FIRE truck and Tom’s Truck with various Figures Dispatched with Royal Mail 2nd Class Please feel free to ask any questions! 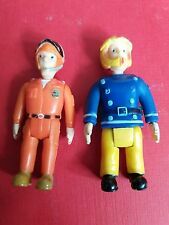 Fireman Sam Toys. Both in Good Condition with Minor Play Wear. 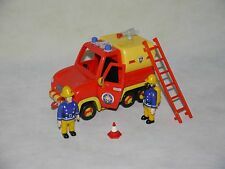 FIREMAN SAM TOM THOMAS YELLOW 4X4 FRICTION VEHICLE & FIGURE Condition is Used, make sounds and still works Dispatched with Royal Mail 2nd Class Please feel free to ask any questions! Fireman Sam Helicopter. Opening Doors. Landing skids with wheels and friction power. 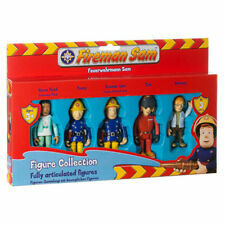 The perfect gift for Fireman Sam fans! 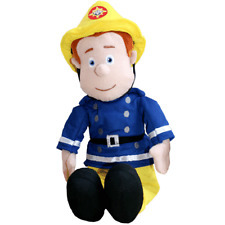 Our product range includes kids toys such as the excellent Fireman Sam, Peppa Pig, Air Hogs, Spongebob, Scooby Doo, Ben & Holly, Mickey Mouse Clubhouse, Twirlywoos, Paw Patrol and many more! TRAINING DUMMY. TRAINING TOWER IS 10" HIGH. MINOR PLAY MARKS. KNOCK DOWN DOOR. Styles may vary. The ultimate rubber band bracelet and accessory maker! Design and make colourful rubber band bracelets, rings, pendants and more! Create single, double or triple loop rubber band combinations. 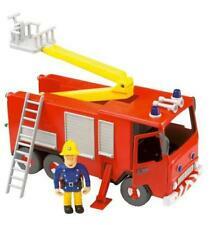 Fireman Sam Jupiter Fire Engine Figure. 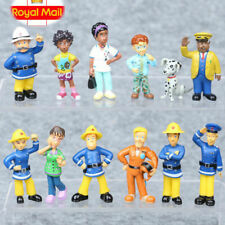 FIREMAN SAM 2 FIGURE SET - SAM IN MASK WITH OFFICER STEELE AS IMAGE - NEW! Fireman Sam. If you open the Station, you get a look inside. For small breaks, its Mountain Center is perfect as a rest stop. Moose is a real Mountaineer and likes to take adventurous Mountain Tours with the Inhabitants of Pontypandy. BOATHOUSE IS 10" LONG. OPENING FRONT DOOR. DETAILED INTERIOR. In small Fireman Sam Training storm Elvis can practice for the big bet. The tower has a height of 10 cm and is compatible with the large training tower. 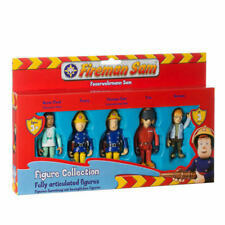 Fireman Sam - Small Training Tower with Character Elvis.